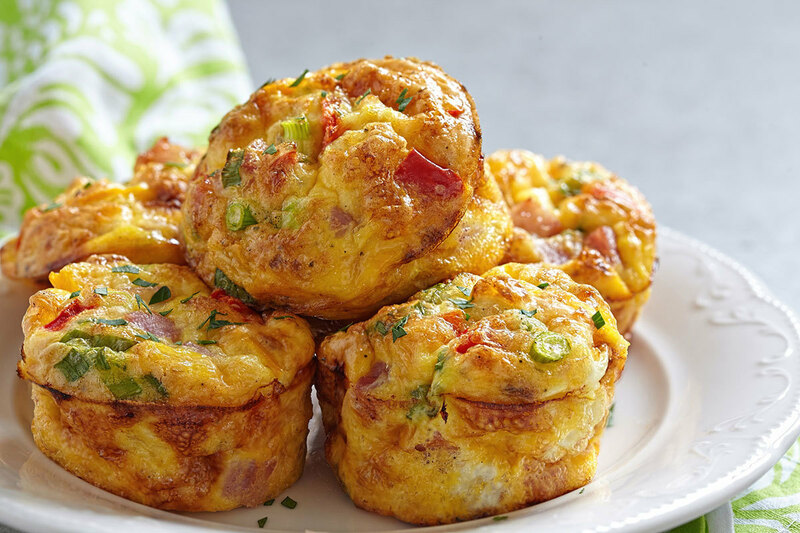 Whip up a batch of these creamy, delicious frittatas for easy grab-and-go breakfasts or eat them as appetizers or a high-quality snack. These are easy to make ahead, just freeze and reheat. Prep time is about 10 minutes. For a lighter option use reduced fat cheese. Feel free to add any veggies and herbs you like! Makes 12 mini frittatas. Add cheese, zucchini, bell pepper and onion; mix well. Spoon evenly into 12 lightly sprayed muffin cups, about 1/4 cup each. Bake until just set, 20-22 minutes. Cool on rack 5 minutes. Remove from cups and serve warm.